Firefighters battled to get a blaze under control Friday morning at a senior living community complex where 35 people were evacuated and was likely started by some cardboard boxes set near a wall heater, a fire captain said. 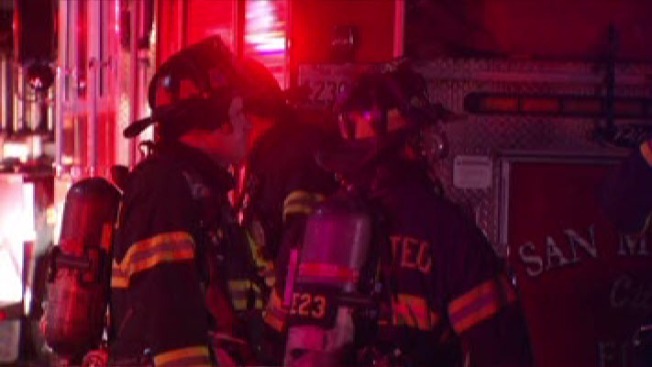 The San Mateo County Fire department said the 2-alarm apartment fire in Belmont in the 2400 block of Carlmont Drive. started about 4 a.m. on the second floor. Capt. Patrick Halleran credited the building's sprinkler system for saving lives. He added the boxes were in the apartment because an older gentleman had recently moved in.